Sabrina Hopkinson with her daughter, 16-year-old Corrina. Picture by Tony Kersham SWNS. McDonald’s in Shoreham has denied ‘fat-shaming’ a teenager - for ordering six cheeseburgers. Mum-of-four Sabrina Hopkinson sent 16-year-old Corrina to McDonald’s to buy food for the family. But Corrina says when she asked for the meals, a girl behind the counter shouted to the kitchen ‘six cheeseburgers, I’m not joking this time, this fat woman wants six burgers’. Corrina said she was left in tears by the comments, but the fast food chain has said the allegations are ‘entirely false’ after reviewing CCTV footage. Sabrina said Corinna went with brother Jack, ten, to order six cheeseburgers and four fries for them and sisters Ashley-Jade, 14, and Jessica-Abbigale, eight. Sabrina, 37, who used to work in McDonald’s, said: “Normally we have home-cooked meals, but once in a while I let them have a treat. “I have a problem getting Jack to eat so when he says he wants something, I let him have it because of the way he is with food. “He got given five pounds from his grandma for Christmas so I said he could go to McDonald’s. “I gave my daughter some money and said they could go down and get a few burgers because it was the holidays. Sabrina said her daughter told staff the cheeseburgers we not just for her, but was ‘laughed at’ by staff. After Corinna came home and told her mum what had happened, a furious Sabrina said she then marched back into the McDonald’s and confronted the manager. She said: “My daughter gets embarrassed and upset and doesn’t speak up for herself, so being a protective mother, I went down there and let rip. Sabrina alleges that when her partner went into the restaurant later the same day, the manager called the police. The former McDonald’s worker said: “My partner went in there because he wanted something done about it. He couldn’t believe it. The manager just called the police. “In this day and age, you wouldn’t expect it. I used to work in McDonald’s when I was young and I would never have dreamed of speaking to a customer like that. 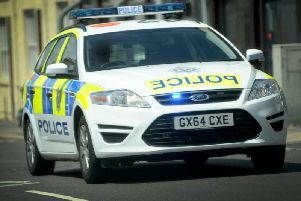 A spokesperson from Sussex Police confirmed that they had been called to the restaurant but said that it was not a police matter and simply a civil dispute which did not require the police. The spokesperson added that there was no ‘record of any form of abuse’. After reviewing their CCTV system, which is understood not to record sound, McDonald’s has denied the incident took place. A McDonald’s spokesperson said: “This allegation is entirely false. We took this claim very seriously and our investigation shows that this did not take place.